As a consequence of years spent working a lot of funny shifts, we do enjoy a lie-in. Especially at the weekends. Trouble is, we also like a nice long walk at the weekends, in the name of getting away from it all. And the two don’t really go together. The reason for this is that nice long walks are traditionally situated in the deep countryside. By the time you’ve had the lie-in, plus a pot of tea and a cooked breakfast, maybe had a bath and watched (take your pick from) Grange Hill, Charlie’s Angels or Robot Wars, it is 4pm. Three hours of driving to reach Norfolk, or Dorset, or wherever, is out of the question and it leads to rows. And anyway, it’s not so long since the countryside was full of dead livestock, all the footpaths were closed and walkers were barred. We were so popular with farmers that we were likely to be shot on sight. 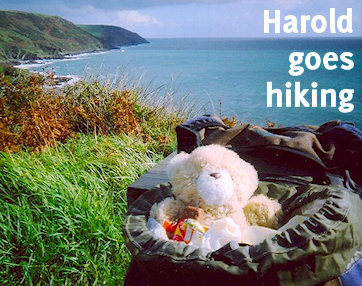 A full-scale two-week hike on the South West Coast Path (where you often find ten river valleys, each hundreds of feet deep, in as many miles) had to be abandoned that year. Which was the point when London’s Thames Path started to look really attractive. It was flat. It was right on the doorstep. We could get there by train in half an hour. 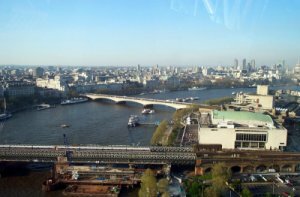 It’s an incredibly intense experience because so much goes on along the riverbank as it follows its course from the Thames Barrier through Docklands and the City, along the Embankment and then west and north for around 170 miles. In your mind one day’s walking feels like three, because you take so much away. And we’ve made it about as far as Hampton Court. What happens next? Pass. That’s as far as we’ve got. It’s all a bit rural in that direction and there may be a farmer with a shotgun even now. You’ll have to ask a walker with more stamina, I’m afraid, as we’re due for a lie-in this weekend.